All this files are here to improve the gameplay using several parameters based on Football Manager stats, FIFA stats and the real football imported to PES. You just have to copy/ paste all the files in your PES directory and run PES with the Gameplay Tool. This work is not stolen from somebody, I’ve made the new stats system and Yaku has done the DT_18 file. We don’t want to see that nothing change or something like that, this tool have been tested, rebuilded several times to make it as better as possible and it takes us lot of hours. We are waiting your feedback after multiple match tests with respect and consideration. 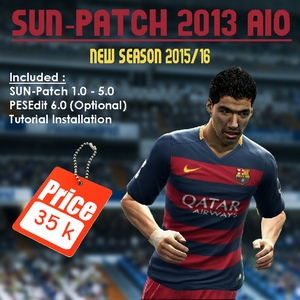 We respect the work from others modders and we will be very pleased if they want to collaborate in the project. 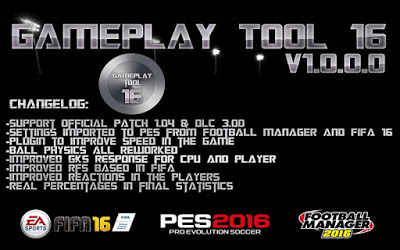 0 Response to " PES 2016 Gameplay Tool 16 1.0.0.0 by Yaku & IceTea"